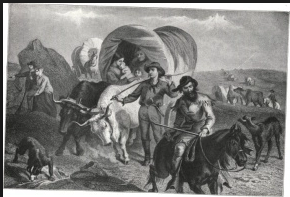 Mr. McCoy Is the wagon leader and he chose to make the Hafelds and the Merrie's stay behind before they get everyone else sick so we don't have a chance to die. But Tyler got sick but we didn't tell everyone because he would have to stay behind so now he is in the wagon sick. Up ahead we saw a snake oil seller. He said that it would cure Tyler but we found out that snake oil wouldn't help ate all because it wasn't a type of medicine It would just kill him. 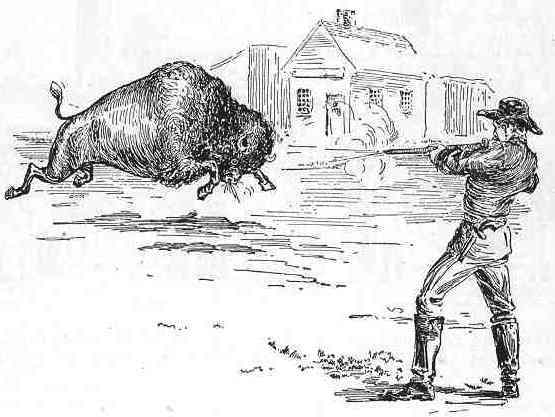 Today Thomas Peeters shot a buffalo but all the other buffalo ran away because they got startled form the gun shot but are oxen also got startled from the gun shot. The good thing was that we got buffalo for dinner. The gun I used was a Sniper Rifle because it had the best accuracy. It was fun with all the projects and the learning going on and helped other kids with there self interest. I didn't say what my hypotheses was but I realized that and when other people came I told them my hypotheses was. I would change how my poster board looks like, have a back round for my slides and my title and get my poster board done faster. I think it was good to study the we the people first because then we know how the government worked so we could get one set up on mars. We knew what the USA's was so we could us that to help our constitution for mars. We searched up what pass ports looked like so we could model off of them and make our own for mars. They should be more encouraged to research thing while crating things because they can get good ideas from other things and then make it there own. I learned how the government is run, what the government can do, what the three branches are and what the government was like back then when they were make the government for the US. 1. The matter in each ingredient can be traced back to plants because ether it was traced back to cows or the plant it's self. 2. Cows eat grass and grass grows with the sun or tomato plants grow with the help of the sun. 3. A tomato comes from the plant and we all know that plants are producers. 4. Tomato plants use the sun to get energy to produce the tomato. 5. 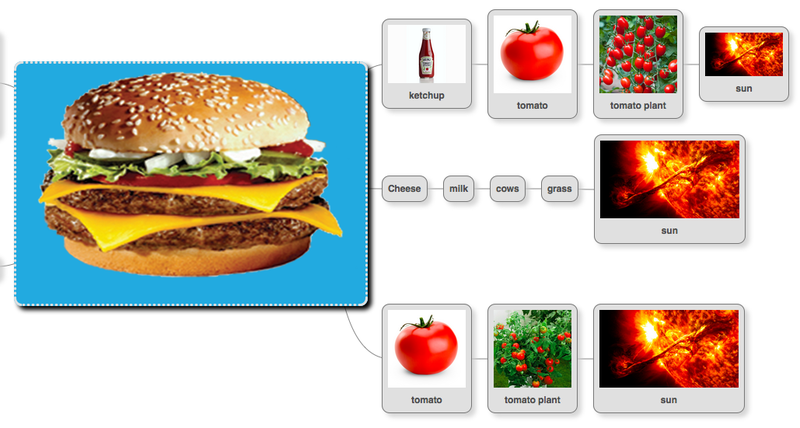 Energy is transferred from grass, tomatoes, and cows that eat the grass. 1. Plants get there energy from the sun and carbon dioxide. 2. Plants get there mater from the sun so they can turn it in to sugar. 3. They make there own food for them self. 4. Plants are producers because they make there own food for them self. 5. The plants would shrivel up and die. 7. One thing is leaves, stem, and roots. 8. One thing is a fallen leaves. 9. The water the sun the wind and the animals. 10. One thing is water, sun light, oxygen.